Every day, God graces my life with His presence, leaving behind heartprints of His love. I'm sure He is faithful to leave heartprints of His love behind in your life as well. 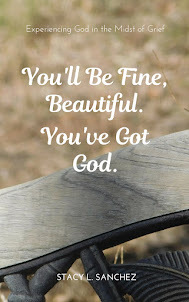 is a new weekly link up designed to be a place where we can come together at the end of each week and share our Heartprint Hallelujahs. As we share our Hallelujahs, our hearts will be encouraged, our faith will be re-kindled, our hope renewed. 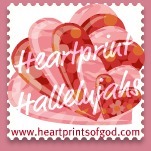 Mark it on your calendar and plan to join us each Friday for Heartprint Hallelujahs. The link will open at 7:00 pm MST each Thursday evening. Button added - awaiting friday! I'm in!!! I love blog hop parties! This should be a good one! I'm adding your button to my blog hop page and I'll be back on Friday!